The Mother Lode Region of California has drawn gold nugget prospectors for years. 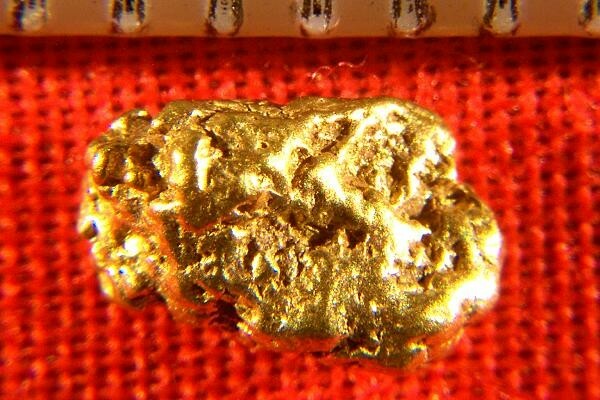 Natural gold nuggets like this one weighing in at 10.3 Grains (0.66 Gram) are a delight to find. Imagine a gold prospector finding this in the bottom of his gold pan. This one is over 1/4" long (7 mm). 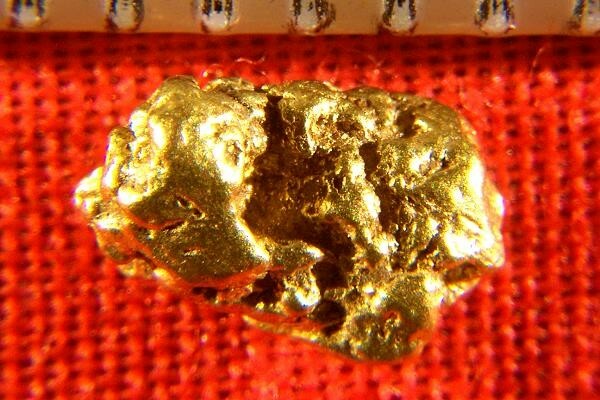 This gorgeous gold nugget has a beautiful rich color and a nice texture. We include a certificate of authenticity with every nugget.